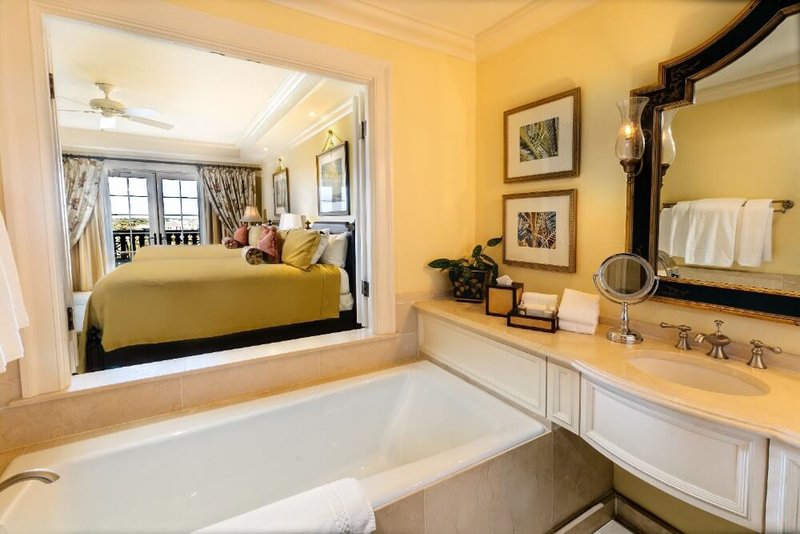 All of our guestrooms offer the same beautiful interior with a marble lined entry way, deep garden soaking tub, dual vanity sinks, and a private balcony. 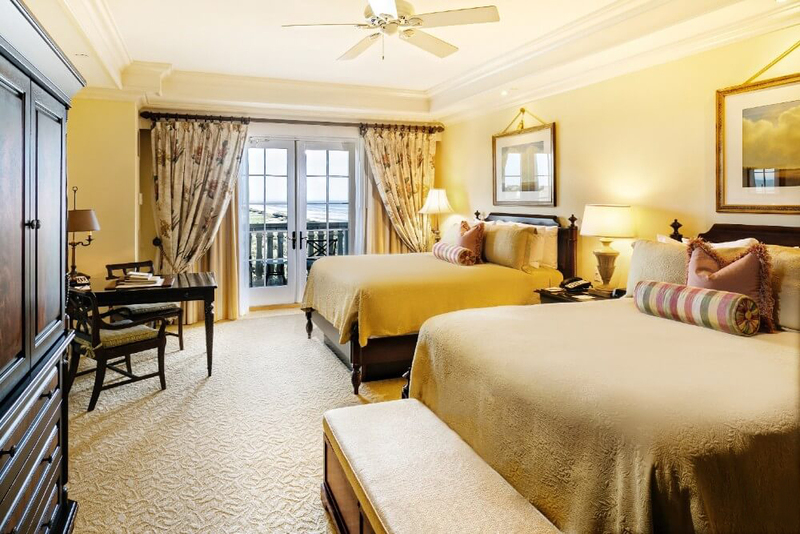 The luxurious guestrooms will range from 520 square feet with a king bed to 540 square feet with 2 queens. 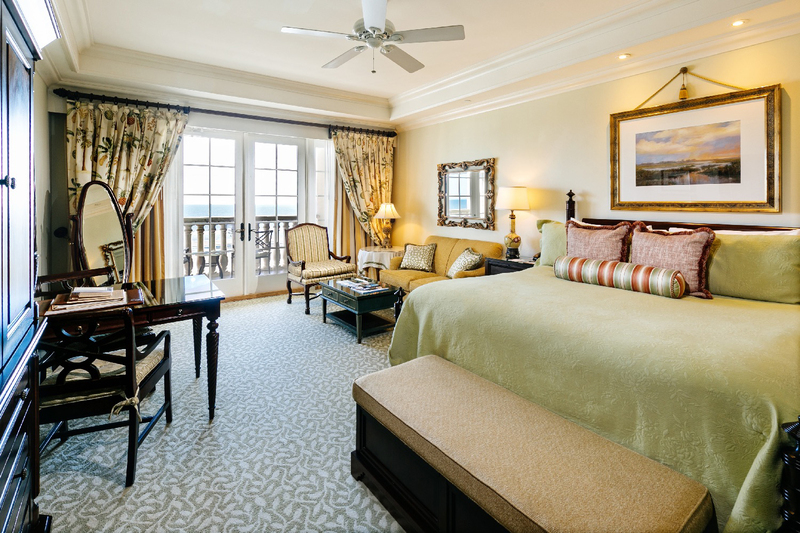 The only difference in the guestrooms is the amounts of ocean view from the private balcony. 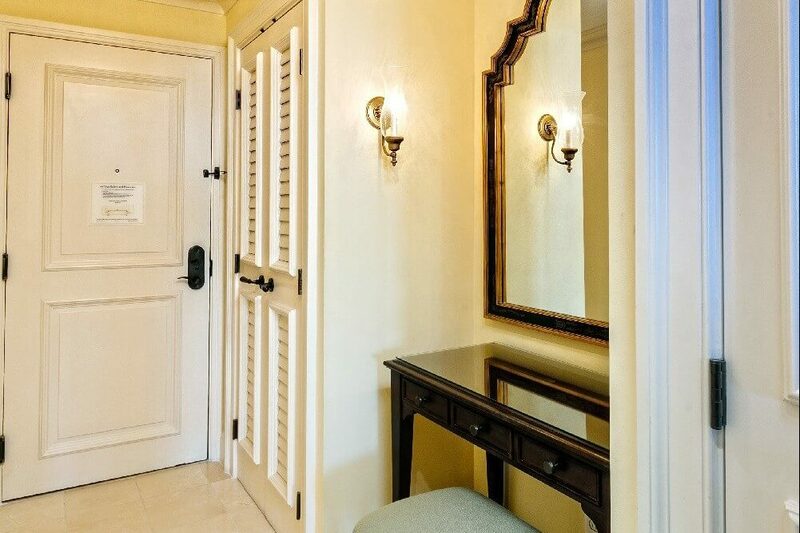 King – 520 sq. ft./Queen – 540 sq. ft.